A car with a ticket is buried in snow Wednesday on Washington Street in Eau Claire. View more photos at LeaderTelegramPhotos.com. When new wintertime parking regulations were enacted in October 2015, the rules were intended to reduce the number of parking tickets given to Eau Claire residents least able to afford those $30 fines. However, parking problems during record snowfall in the city this month has resulted in the issuance of more than 1,300 tickets to motorists improperly parked during recent snowstorms that have dumped 28.4 inches here, a record for the month of February. That unusually high number of tickets, combined with the city taking the unusual step this week of towing vehicles violating parking regulations, is prompting discussion about whether the current snow event policy is workable going forward. According to Eau Claire Police Department figures, 590 parking tickets had been issued as of Thursday afternoon related to the storm Monday/Tuesday that dropped 10 inches of snow on the city and surrounding region. Snows from Feb. 6-8 prompted another 751 parking tickets, more than is typical during a snowstorm, city officials said. In addition, since Monday 19 vehicles have been towed related to being improperly parked during recent snowstorms. “Wow; that’s a lot of tickets,” Councilwoman Emily Berge said when informed of the number of fines issued. Other council members had a similar reaction to the number of fines issued. 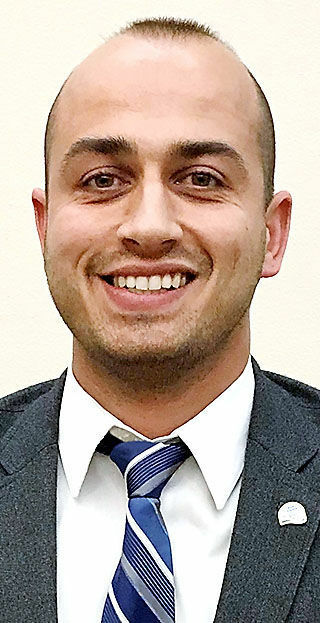 Acting council President Andrew Werthmann, who proposed the parking regulations change more than three years ago, said it was intended to reduce the number of parking violations, not increase them. “At the time we made that change, we felt the people who could least afford it were getting charged for not getting their vehicles moved,” Werthmann said in reference to the previous odd-even regulation that required motorists to park their vehicles on the side of the street with odd-numbered addresses on odd calendar dates and along even addresses on even-numbered days. The odd-even calendar rule mandated that motorists move their vehicles nightly from Nov. 1 through April 30, whether it snowed or not. The current regulation states they only need to follow calendar parking rules at times when the city declares snow events, or when the city receives relatively large snowfalls. While that change is easier on motorists, it may cause confusion because they aren’t in the habit of switching vehicle locations daily, Councilman Terry Weld said. Parking regulations and fines “are not meant to be punitive,” Weld said, but are intended to ensure public safety. Councilman Jeremy Gragert agreed, saying the sporadic nature of snow events being declared “creates an inherent lack of clarity about the (parking) issue.” Alternate side parking was more consistent, and people seemed to track that schedule more easily, he said. Councilman Dave Strobel said recent parking problems are a sign the city should revisit the odd-even parking regulations. The current rules don’t save the city money and appear to confuse some residents. “I don’t think the new rules are working for anyone,” Strobel said. As she drove along city streets in recent days and noticed vehicles parked on both sides of the road, some entombed in snow, Councilwoman Kate Beaton wondered why parking during recent snowfalls has been especially challenging. The high number of vehicles parked incorrectly has city officials pondering whether the current policy is the best way to address keeping streets clear of snow, she said. City streets maintenance manager Steven Thompson said clearing roadways of snow in the wake of the Monday/Tuesday snowstorm was especially challenging because so many vehicles were parked on both sides of some streets, blocking plows access to clearing roads. Snow-choked streets serve not only to hinder motorists travels, police department public information officer Bridget Coit said, but block emergency vehicles from responding to residences, creating potentially deadly situations. City resident Levi Stoik said knowing when parking regulations for snow events are in effect can be challenging. He doesn’t regularly watch or read the news, he said, and he isn’t an avid follower of social media. City officials said they do everything they can to communicate snow event parking regulations to residents, including such measures as notifications via social media, text alert, media contacts and other means. Council members said perhaps no matter which regulations were in place, parking issues were bound to happen given the extreme recent snows. While they said they understand difficulties residents face in moving vehicles, especially in unusually heavy snow conditions, the responsibility for doing so rests with motorists.